Today’s Task: Watch and evaluate the home party presentation videos. 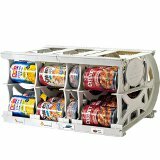 As a Shelf Reliance Consultant one of the things you will need to work on regularly is your party presentation. What you say and when you say it are important. Today we are going to watch several videos of home party presentations and evaluate them. These presentations are all good examples of what a home party could look like, but it is important that your presentation is something that fits you. Watch each of the following videos. Please note that these videos are from YouTube and some of them had to be broken up into smaller sections so they could be posted. Tiffany’s party is really just one party but to post it to YouTube it had to be broken into 5 parts. Fill out the Home Party Presentation Evaluation Sheets first two columns while you are watching. After you have watched each video go back and fill in the “What does that mean for my presentation” column. · This video is just the Q not the entire party. It is a great way to explain the Q. 3. Tiffany’s Party Presentation—This video is older, but I really like it. Tiffany gives a great presentation. 4. Home Party Video—this video was developed by Shelf Reliance and come in your starter kit. It is a great example of what should be said at a party. · Home Party Chapter 2—The THRIVE Planner, how much food do I need? 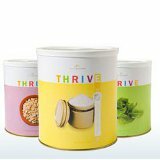 · Home Party Chapter 4—How do I start using THRIVE food storage? There is no set presentation; each consultant customizes the presentation to fit her/his personality. You do not have to talk about the Q how Lisa does, or explain the home store concept like Amber does. You do need to make sure you are explaining the company’s programs and products, accurately and in a way that your customers can understand.